I had not heard of this kind of hat before so I did a bit of research. I couldn’t find any reference to a katie hat, but I was able to find a hat called a skimmer, which is also known as a boater, basher, or sennit hat 2. 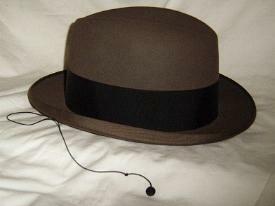 Basically it is what we commonly call a barbershop hat today (see picture). 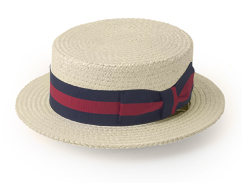 They are still popular in Italy where they are known as boater hats among gondoliers. But there was something else in this passage that I wanted to research a bit. The thing that struck me in this passage was the peculiar practice of how the boys attached their hats to their lapels by a cord to prevent them from flying away in the wind. Betty Smith’s novel addressed a pre-World War I time period, so I thought I might be looking for a tradition in the early 20th century or earlier. A little more searching revealed that there are still hats today that are secured in this manner. 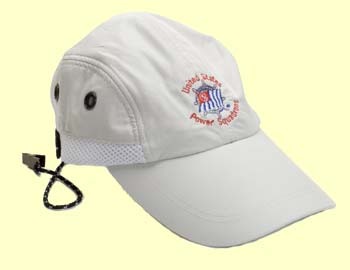 Even some modern boater’s hats still have cord clips to attach to your shirt so that if they blow off your head they will stay secure and won’t go in the water. This is an interesting feature that I had not known much about before. I have written previously about a similar tradition in antiquity of caps or crowns with strings or lappets used to secure them in different ways (see particularly Exodus 28:36–38). So very cool! Thanks for sharing this information and for all of your research. This leads us to ponder the spiritual meaning and symbolism. “Draw near unto me, and I will draw near unto you” comes to mind. There are so many scriptures which use the terms “Cleave”, “Bind”, “Secure” and “Hold” to describe what we must do to keep Jesus Christ close to our minds and hearts. Thanks. Other scriptures to ponder (D&C 75:28; Lam. 5:16; 1 Pet. 5:4; Rev. 3:11). I found that in D&C 63:66, where it speaks of an exceeding “weight” of glory. The Hebrew word for glory is “kabowd”, and it literally means to be heavy. To multiply, to have in abundance, to be numerous. It then has effects on the meaning of the “weight of glory” in D&C 132:16. The “crown” is a numerous posterity. Kudos for spotting that. But here’s a little more to chew on: All hats stem from the same source, in spite of their multitude of variations and incarnations. They began as sacred furniture, but evolved into practical or decorative items outside sacred precincts. The wheel is another such example. It began life as a sacred symbol, but was quickly pressed into service for its utilitarian value. Some Mesoamerican cultures refused to debase what they considered a sacred symbol by using a wheel on the ground, thus committing a sacrilege by profaning a sacred icon. Yet, their religious iconography was full of wheels. Few cultures felt so inclined where the hat was concerned. They became ubiquitous. By wearing that sacred symbol, a man could be seen as pious. Hence, Catholics (zucchetto) and Jews (kippah), among many other cultures, adopted hats for that purpose. Moreover, they were prescribed for use during all sacred ceremonies, rituals and holidays (holy days). Anyways, just me rambling. Great post Brother Hammond.